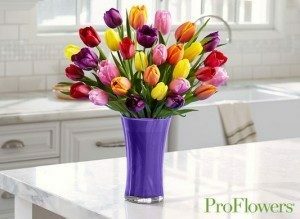 Spend $15 For $30 In Flowers From ProFlowers! You are here: Home / Great Deals / Spend $15 For $30 In Flowers From ProFlowers! What a great deal to help you save on special Easter or Mother’s Day Flowers! Spend $15 For $30 In Flowers From ProFlowers! Such a great half price deal on gorgeous Spring arrangements! Grab this hot deal on Living Social today!